PORTRAITS de FLOR. High Museum of Art. Atlanta, GA. 2018. Portraits de Flor is a an effort to honor and celebrate the artists and activists bringing growth and vitality to our cultural ecosystem by lovingly bedecking them in flowers. Seen here (left to right) are: Jenna Beth Horton and Maggie Ginestra photographed by Helen Hale, Camie Ward and Tricia Hersey Patrick photographed by Christian Moreno, and Barbara Antonoplos photographed by Allen Douglass. Inspired by the lush and unruly landscape of the Hambidge Center for Arts and Sciences (a long-standing and beloved artist residency tucked in the North GA mountains) and the curiously immaculate environs of the Atlanta Decorative Arts Center’s design showrooms, Wild Prints on Parade is a playful negotiation of arrangements and re-arrangements at the intersection of the natural and domestic. Created with and ignited by movers and space-makers Melissa Word and Gavin Bernard, the three of us construct ever-shifting scenes throughout ADAC and amidst audience, studying the effort of specialness and the poise of wild things. 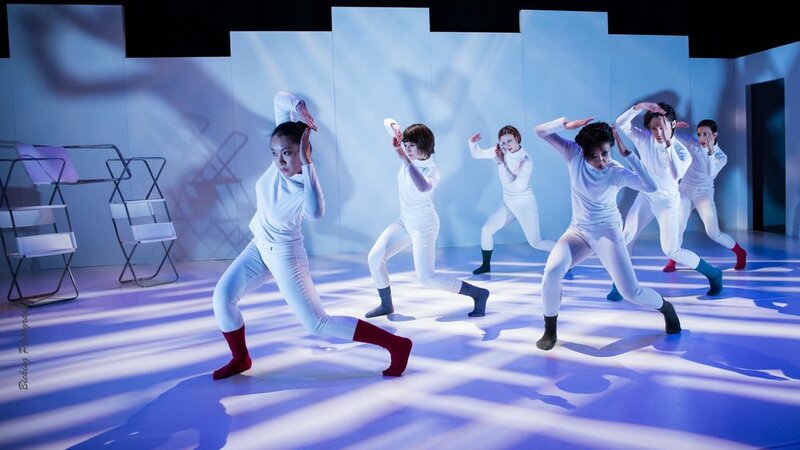 NICHOLE CANUSO DANCE COMPANY: BODY OF TEXT. Philadelphia, PA. Ongoing, 2015-present. How do we forge connections between disparate modes of expression? Can we register information in many ways simultaneously? Through kinesthetic touch, visual understanding, vocal resonance, vocal sound, verbal meaning, physical and emotional empathy? What does it mean to ask each other questions in all these different channels of information? Can we define a performance practice that allows us to register and structure information in multiple ways. 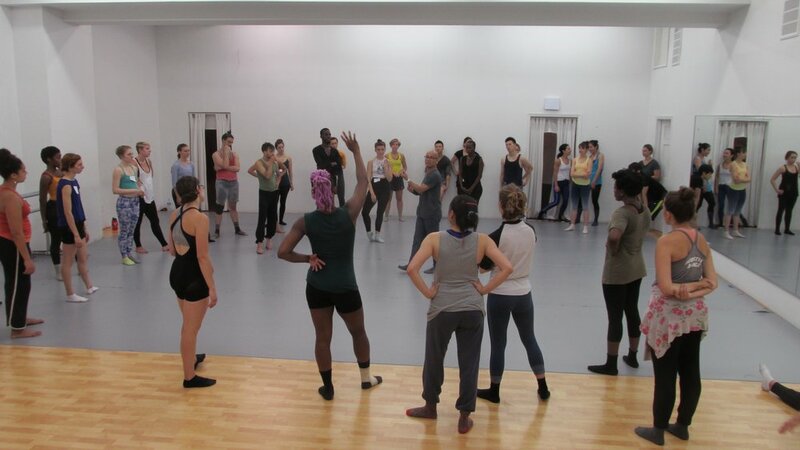 For Body of Text Nichole Canuso works with six collaborator/performers (Meg Foley, Jennifer Kidwell, Guillermo Ortega, Scott McPheeters, Helen Hale, Eun Jung Choi), Oral Historian Suzanne Snider, choreographer/writer/philosopher Karinne Keithley Syers and vocal teacher Jean Rene Toussaint. Together this group of 10 artists explores and researches the relationships between modes of expression. CARNIVAL DE RESISTANCE. 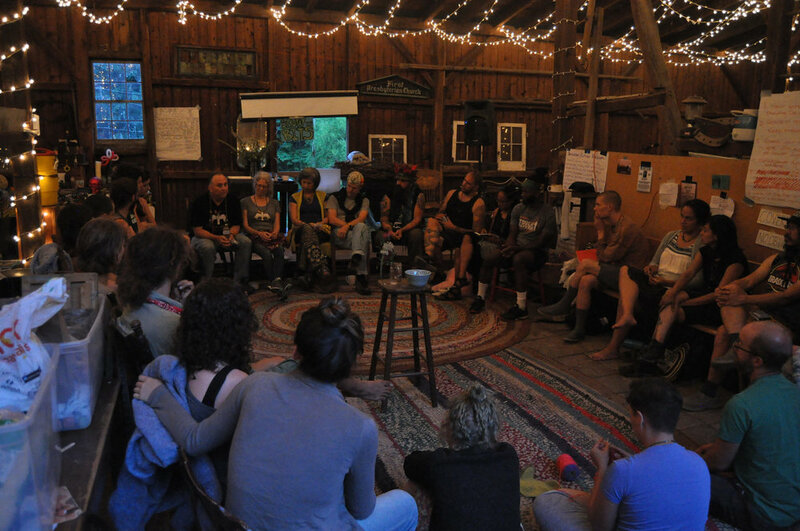 Residencies, Minneapolis MN., September 2016, Philadelphia PA. July/August 2018. THE NAP MINISTRY. Atlanta, GA and Chicago, IL. Ongoing, 2014-present. CIEN AÑOS. Tegucigalpa, Honduras. July / August 2017. Cien Años is a movement, an outlook, a life-way which comprises a band, cultural platform, curatorial perspective, center for nightlife, and hub for emerging work and community discourse in Tegucigalpa, Honduras. Cien Años seeks to empower, inspire, resist, and educate through music and through protecting space for the arts. Brothers Gustavo and Leonardo Moreno, along with a team of incredible creative comrades, lift up a rare and brave voice in the cultural climate which surrounds them. I went to Honduras at their invitation to work alongside them as a performer and choreographer for a concert at Teatro Nacional Manuel Bonilla for the release of their first full disc, participate in performance programming at La Casa de Cien Años, and shoot a music video to honor the passing of their mother and brother and celebrate their ongoing work in the face of difficult circumstances. KUN-YANG LIN/DANCERS. HOME / S. 9th Street. Philadelphia, PA. 2014-2016. Working with Kun-Yang Lin/Dancers was a big impetus for bringing me back to Philadelphia after a number of years in Atlanta. Soon after my arrival the company began the year longing building process that would become HOME / S. 9th Street. Focused on the diverse stories of the immigrant experience in the United States, and inspired by Kun-Yang’s own journey, and the family lineages and personal stories of members of the cast and members of the South Philly/Bella Vista community (in which the company’s Chi Mac studio has its home) HOME / S. 9th Street became a way to connect to the city of immigrants surrounding us, of which many of us are a part, to one another, and to the stories we share and the common bonds that hold us together. GINKGO is a collaborative practice with poet and curator, Maggie Ginestra. The two of us have worked closely over the past 3 years in an effort to think together about how to build containers and facilitate experiences that knit together our community and reflect our desire to create prompts and provide spaces that can provoke and hold the sharing of intimate, personal learning, and brave performance attempts. The following 3 works/gatherings are the result of our ongoing process together. Here’s what we’ve been asking ourselves: What dots are you connecting that you've barely found language for? How is your life or your values or your passions changing in ways that surprise you? What's driving you, now that you've gathered the learning that you've gathered, up to this moment, today? What are you desperate to learn more about and why? How are you putting back together the things that broke? How are you breaking open? Or just simply: what's new, friend? And how can we each bring these sparks forward and share them? Sharings from: Hez Stalcup, Danny Davis, Tricia Hersey, Sarah Thompson, Makeba Dixon-Hill, Cinqué Hicks, Ali Blake, Gavin Bernard, Gabriela Arp, Micah Dalton, Judith Kenan & Jim Gordon w/ Bellaluna Gordon-Kenan, Allie Bashuk, Arp Hakobyan, Barbara Antonoplos, Maggie Ginestra, Helen Hale, Jon Arp. 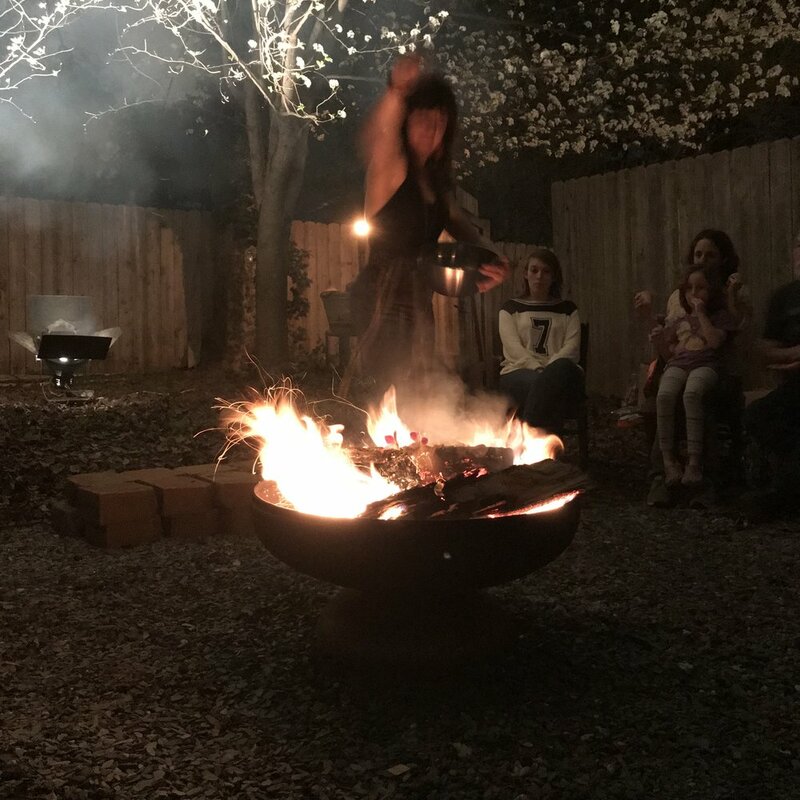 Mementos by Chanel Kim, fire keeping by Chad Hale, and outro jams by Gray Clevenger. A vision: after months of too-much-time-at-home-because-it's-gross-and-cold-out, every family in the city/village/community turns their living room (the very place where they've been cooped up) into a stage and invites each other over for one night only and performs the story of their interior journey. What shifted? What grew? What territory was traveled? Where are we now? We imagine the end of winter as an epic traveling party, from house to house, in which we all co-witness crackly theatrical happenings that usually don't get their moment, documents of a season of hibernation, often trampled by our own beautiful frenzy, the rising sense of possibility that is springtime. What if, before we forget our winter work, we try to build a bonfire as big as the sun, and mark this time? Performances by: Hez Stalcup, Tricia Hersey, Magda San Millan, Christina Bouza, Lillian Ransijn, Beth Malone, Helen Hale, and Jenna Beth Horton. Direction: Maggie Ginestra. Lighting: David O' Connor. 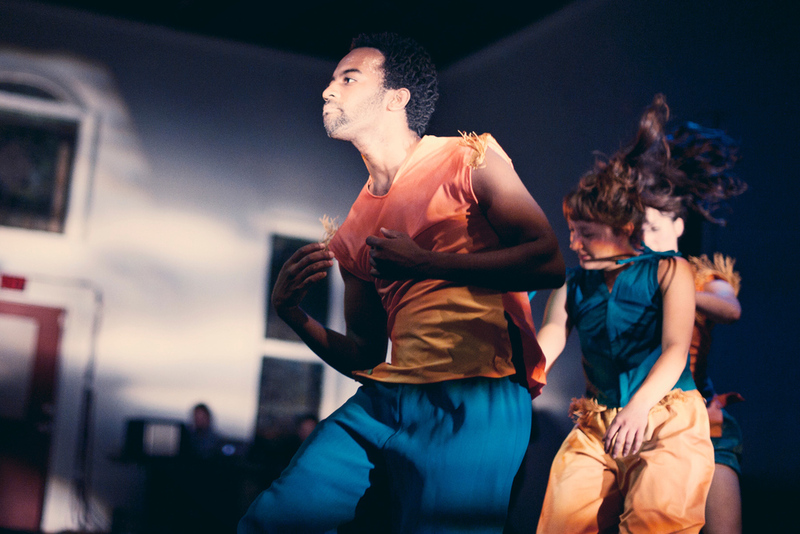 LITTLE FIRES is the second in a series of living room dances. Gem n' I is about the world inside one melting ice cube. About how you think it's winter and then it's winter, and so you think it's winter but then it's really winter. Is it a sharing of what kept the fires in our hearth burning the winter of 2014-2015. It reaches for the intersection of wildness and domesticity, and exists in the dream world that one poet and one dancer made in an attempt to build a dream language together. It is the first in a series of living room dances. Gem n' I was made in collaboration with Aubrey Longley-Cook, Danny Davis, Jessamine Starr, and Kathleen Ginestra. One Long Adagio with Antenna Up is a musing on love, distance, listening, and taking a long time to arrive at refreshment. Many thanks to Andy Coval for his vital misting. brieft history of the second and smallest toes on my right foot as it pertains to dexterity and longing for the sea was a solo created for ONEONE: An Exhibition of New Works by the WonderRoot Walthall Artist Fellows. 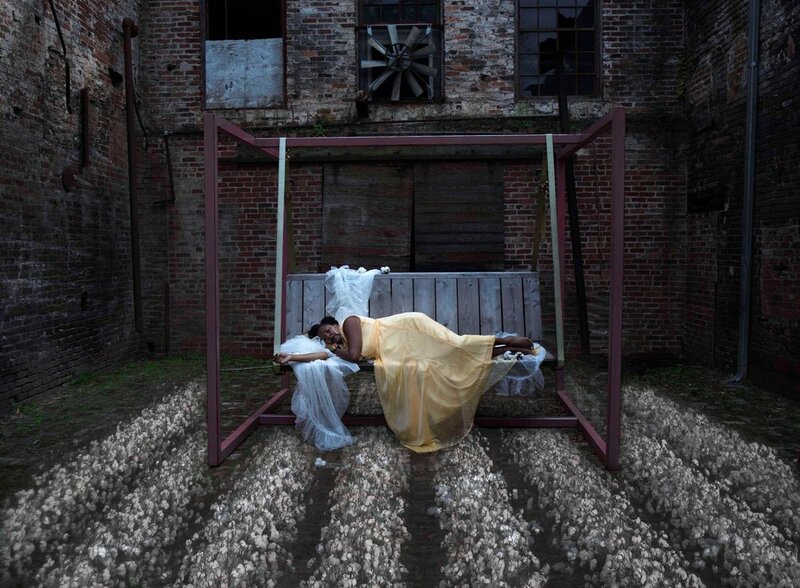 I spent 2012-2013 participating in a professional fellowship program with 11 other artists of diverse media which culminated in a group show at the Museum of Contemporary Art of Georgia. 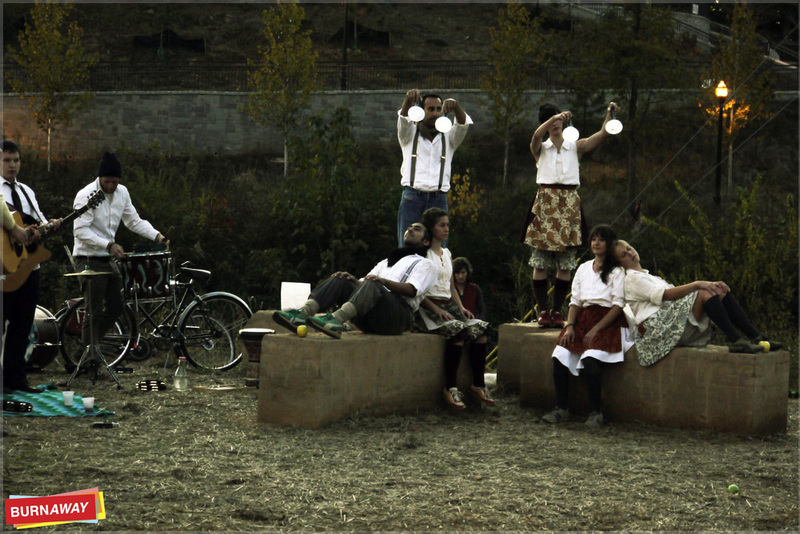 In response to the unique challenge of making a dance piece that would live in a gallery space I used two differently sized islands of flooring and collaborated with designer and woodworker, Elwen Hau, who created the wooden box stools which served as front row seating and audience boundary when performing, and as sculptural landmark for the piece in the exhibition space when not performing. The work was set to traditional Greek music by Giannis Tsabanakis, Manos Hadjidakis, and George Zambetas, and was performed multiple times during the 6 week duration of the exhibition. 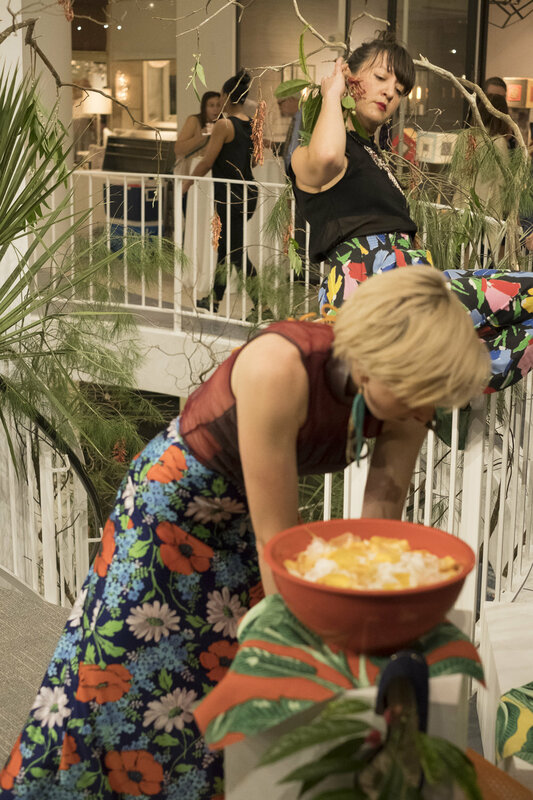 Frida was a trio commissioned by The High Museum to be performed for several events held in conjunction with the opening of the Frida Kahlo/Diego Rivera Exhibition. I poured over paintings, journals, and biographical material by and about Frida, and sought to make a piece that spoke to the cultural specificity, world of symbolism, relational intensity, and visual richness of her life and work. 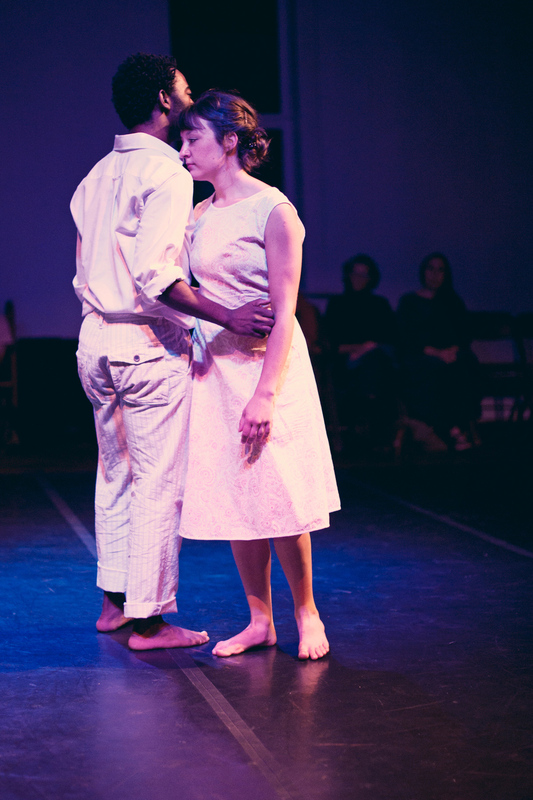 Costuming for the piece was created by Amanda Baumgardner, and music designed in collaboration with Santiago Paramo. Danny Davis of Protect Awesome masterminded the technical direction. 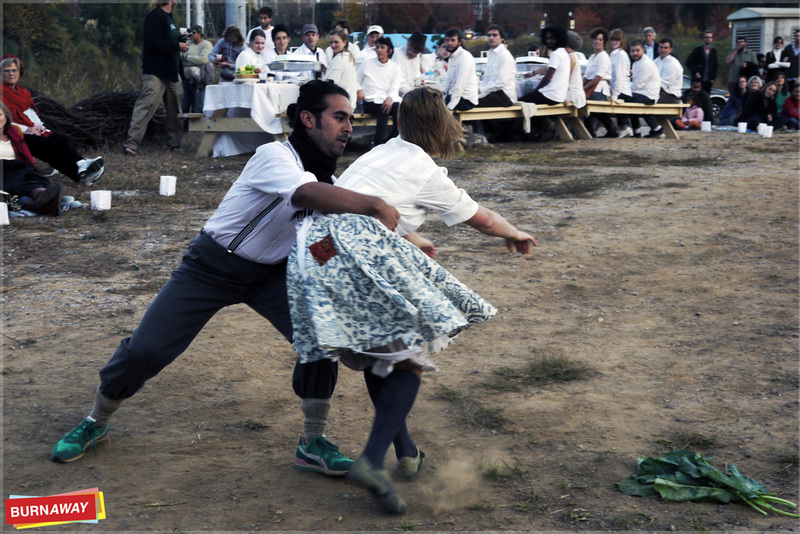 Anti-Manners: A Dance Feast. 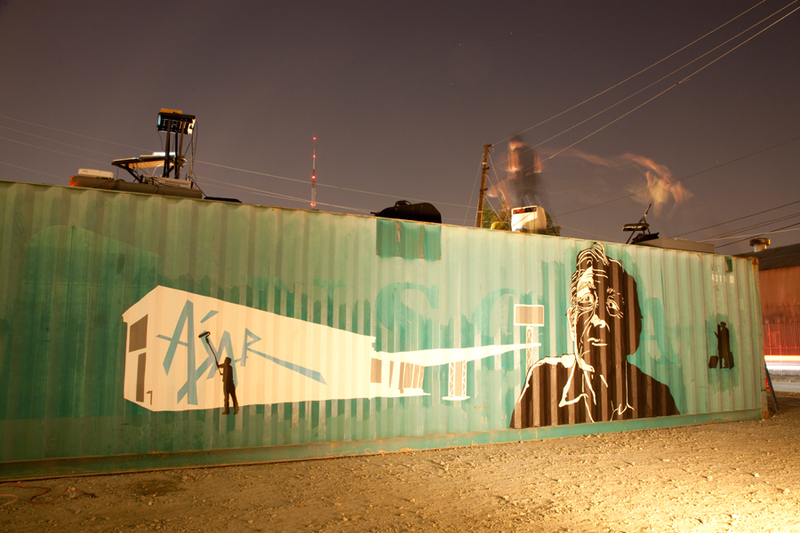 Commissioned by Art on the Atlanta BeltLine. Created and co-presented with Dashboard Co-op. 2011. 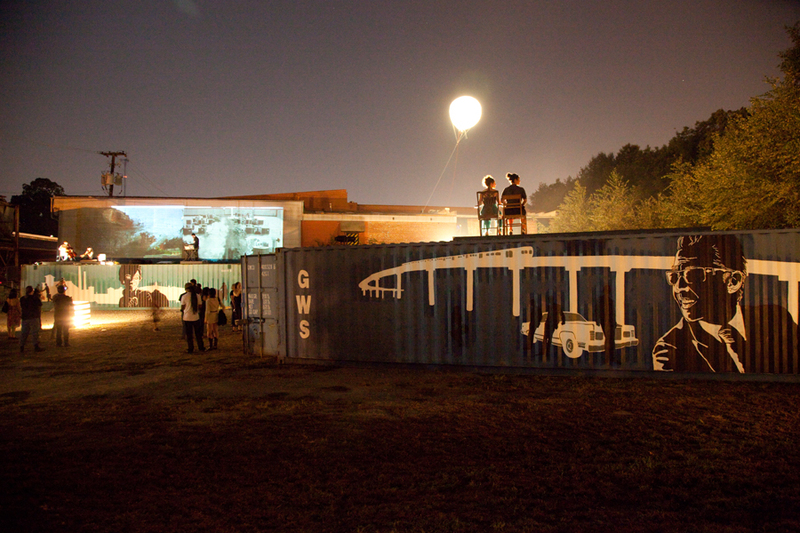 Anti-Manners was created as a means of marking seasonal shift, sharing a meal together, and celebrating the ongoing growth of the Atlanta BeltLine, a corridor of green space slated to become a line of public transit connecting Atlanta neighborhoods. 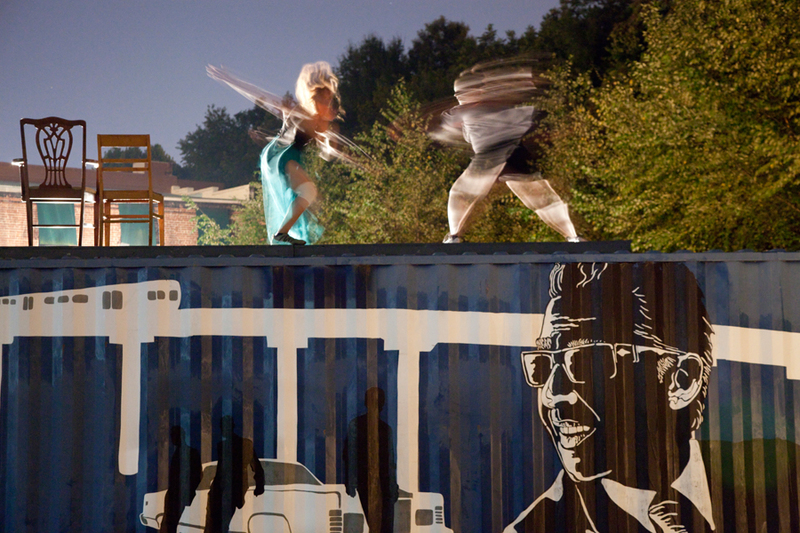 30 volunteer performers joined the dancers in a raucous feast on a stretch of the BeltLine located behind Piedmont Park as part of the evening's performance which was accompanied by a diverse group of Atlanta musicians who came together for the project. 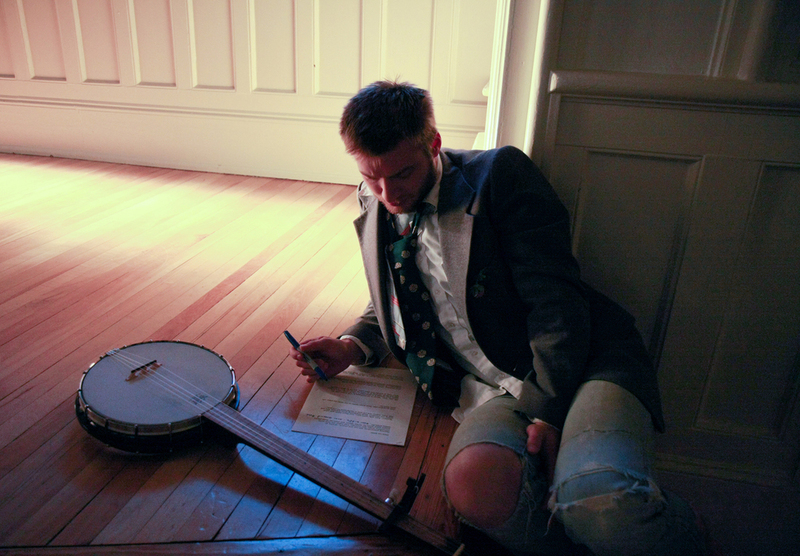 Photography: Dylan York for BurnAway Magazine. I See You. / I See You and I Raise You One. Presented by WonderRoot Community Arts Center. 2011. I See You and I See You and I Raise You One are two related trios created in an effort to answer my compositional wondering about whether it would be clear to the audience that they were seeing the same choreography if it were presented in two very different ways. In these works the same movement material was re-contextualized and performed as separate pieces within the program--the first to traditional Sacred Harp music performed live by four vocalists, the second to an Indian house mix by Ja Sha Taan. Convergent Frequencies. Presented by i45 and Possible Futures. 2010. 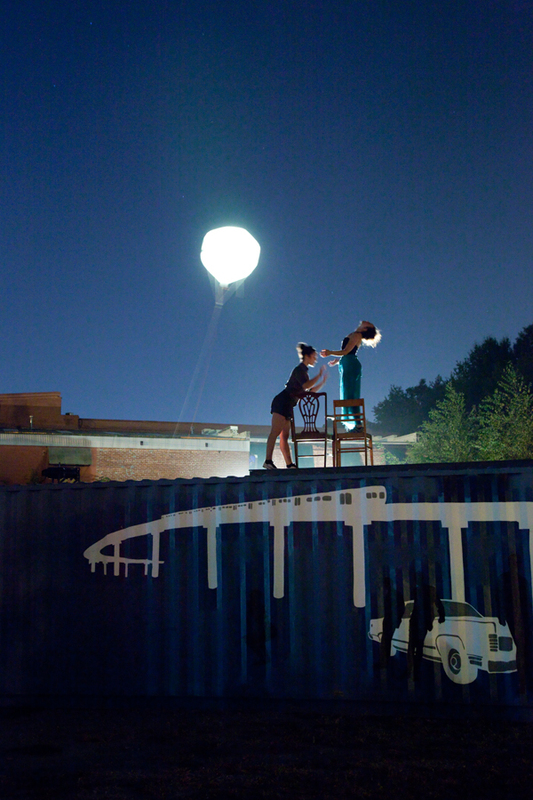 The dance component of Convergent Frequencies was made with the support of Dance Truck and performed atop a shipping crate as part of a pop-up gallery created at the corner of Krog and Irwin streets. The project was an interdisciplinary collaboration with artists Matt Gilbert, Matt Haffner, Nat Slaughter and musicians Oryx and Crake. HeadFirst to UpsideDown. Produced and presented by Helen Hale Dance. 2010. 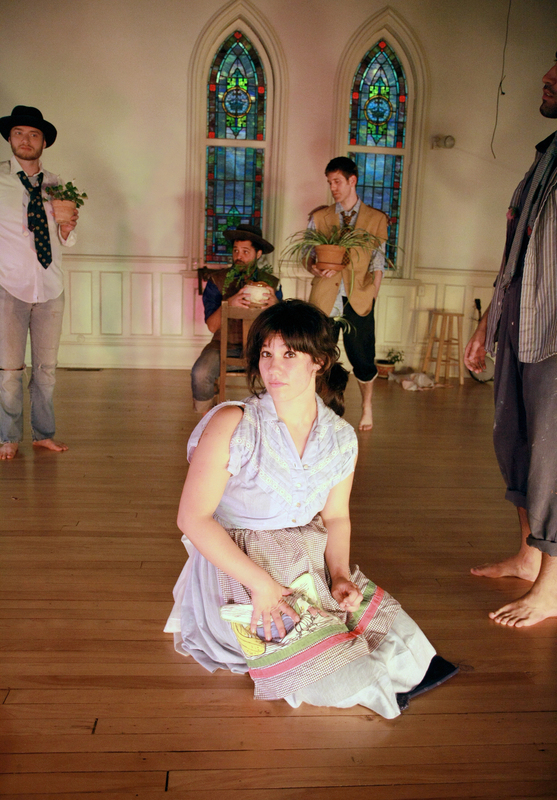 HeadFirst was a character driven piece based in the idiosyncrasies of Southern culture and centering around experiences of injury, reconciliation, and pilgrimage. The cast included musicians as well as dancers and in it everyone became both mover and music maker.